Christo Design CD/DVD Troubleshooter Before doing any work, please establish a System Restore Point. Not to be insulting, but try rebooting your computer also! Quick Tools to Try • CDCheck - CDCheck is a good freeware utility for the prevention, detection and recovery of damaged files on CD-ROMs. • CDGONE patch - this very popular fix may help the drive reappear in Device Manager or My Computer/Explorer. Third party CD/DVD playing and burning software should be reinstalled afterwards. It's essential ingredient is the removal of the upper and lower filters in the registry. • Disappearing XP-CD/DVD Rom Fix program - this similar fix that may help the drive reappear in Device Manager or My Computer/Explorer. Again reinstall 3rd party software. • upper-lower-filters-removal-alone.reg - this tool fixes deletes the upper and lower filters in their most likely place, which is a common solution to fixing CD/DVD drive problems. (Right click on the link, choose "Save link as...," double click on the file and ignore the warning.) • Resetdma.vbs - this little script will set the data transfer setting of your CD/DVD drive back to DMA which is a faster and newer method than the old PIO method. (Right click on the link, choose "Save link as...," double click on the file and ignore the warning.) • Microsoft Autoplay Repair Wizard - Fixes some CD/DVD drive reading and writing problems. "T•l•charger" is "Download" in French. • Windows XP Patch: CD Burning Update - "This update addresses several CD burning issues that are discussed in Microsoft Knowledge Base Article 320174. Download now to prevent problems with CD burning." (Apparently this executable replaces the cdrom.inf, Imapi.exe, Imapi.sys files.) It's really a kind of useless update because it can only be applied to XP machines before SP1. • CD Recovery Toolbox - CD Recovery Toolbox - for recovering data off damaged and corrupt CD and DVDs. • Sony Rootkit Uninstaller - a few years ago, SONY released CDs that had rootkit technology designed to protect the digital rights of the music on the CD. This proved disastrous as hackers copied their methods to burrow under the Windows operating system with the same rootkit strategies that SONY used. There are still some of those Sony CDs around. The rootkit sometimes causes CD and DVD drives to not appear in Explorer or cause other issues and the uninstaller cures the issue. • Microsoft's CD/DVD Mr. Fixit - when you cannot burn or play CD or DVD discs, when a drive is not found, not accessible or not connected. Quick Things to Do About Numbered Device Manager Errors See Microsoft's Article Code 10 This device is either not present, not working properly, or does not have all the drivers installed. Code 19 Your registry might be corrupted. Code 31 The device is not working properly because Windows cannot load the drivers required for this device Code 32 (or Code 31) A driver for this device was not required, and has been disabled Code 39 Windows cannot load the device driver for this hardware. The driver may be corrupted or missing. Code 41 Windows successfully loaded the device driver for this hardware but cannot find the hardware device. • These error codes are usually resolved by uninstalling the upper and lower filters. Third party burning software will need to be reinstalled. • The program XP_CD-DVD-Fix.exe based on the registry file CDGONE.reg, accomplishes the filters deleting mentioned above along with removing a few other less important registry keys. • It's also possible there are sub-keys which contain the upper and lower filters. See this article about deleting them. This is less common. • Another possibility is the Sony Rootkit has been installed. Uninstall it. • If ITunes is installed on your machine, uninstall it. If you desire keep ITunes, remove the lower filter and set or create the upper filter to the value of "GEARAspiWDM" without the quotes. You need to add a return after the string. This is important. Please see Apple's article on the subject for more info. • If after installing ITunes or Norton Ghost, you get Device Manager error code, try locating the Audio File System (AFS) driver from Oak Technologies at C:\Windows\System32\Drivers\afs.sys or doing a search for it. Rename it afs.sys.txt and reboot. This driver is incompatible with the driver found in ITunes and Norton Ghost. After renaming the driver file you will lose access to the CD burning feature of the following: HP Memories Disc Creator, Liquid Audio Portal Player, Oak Technology SimpliCD, or Broderbund's Print Shop version 20. For more information, see the article here. • The C:\Windows\INF\cdrom.inf file is the script Windows uses to reinstall it's CD/DVD drive drivers. When you uninstall an optical drive or IDE channel and rescan for hardware changes, Windows uses this script to recreate the registry settings and point the drive to the proper drivers. This file can become corrupt. You can replace the XP SP2 or SP3 file (they are identical) with this one or the Vista SP 1 version with this one. 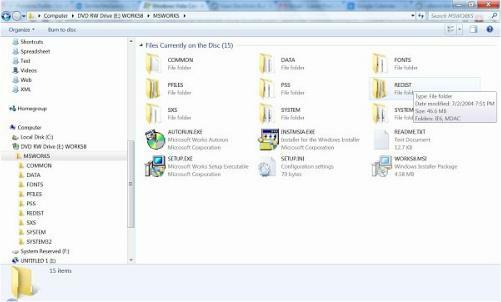 • If one right clicks on any CD or DVD drive in Device manager and chooses Properties and then Driver tab, you will see five or so files listed. If any of these are corrupted, presumably they will give Device Manager errors. One can disc over whether any is corrupt by opening a command prompt and typing the command "sfc /scannow" without the quotes. If one disc overs a corrupt driver file with this method it may be difficult to find a method to find the uncorrupt file for an update as the SFC command may ask for, for instance a Windows XP SP3 install CD, a very rare bird indeed. There ay be other methods to provide the correct file but they are unclear to me at the moment. Basic Diagnostic Questions 1. Will the DC/DVD drive door open under its own power if told to eject or if the external drive door button is pushed? 8. Does the CD/DVD drive burn discs correctly? 2. Does the drive light up when a CD/DVD is placed in it? 3. Does the drive light continue and the drive speed up or does it •die•? 4. 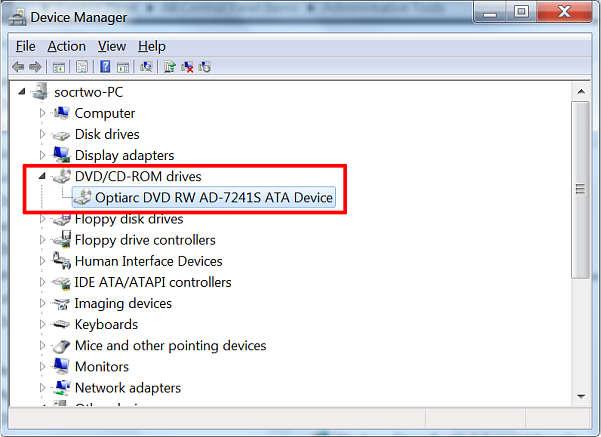 Does the CD/Drive appear in the device manager? 5. Does the CD/DVD drive appear in Explorer and My Computer? 6. Does the CD/DVD drive read discs properly? 7. Does the CD/DVD drive burn discs? 8. Does the CD/DVD drive burn discs correctly?